Maestral Hotels is a group of hotels in the charming city of Dubrovnik. The group has five hotels and a pavilion. It was established back in 1935. when the first hotel was built. 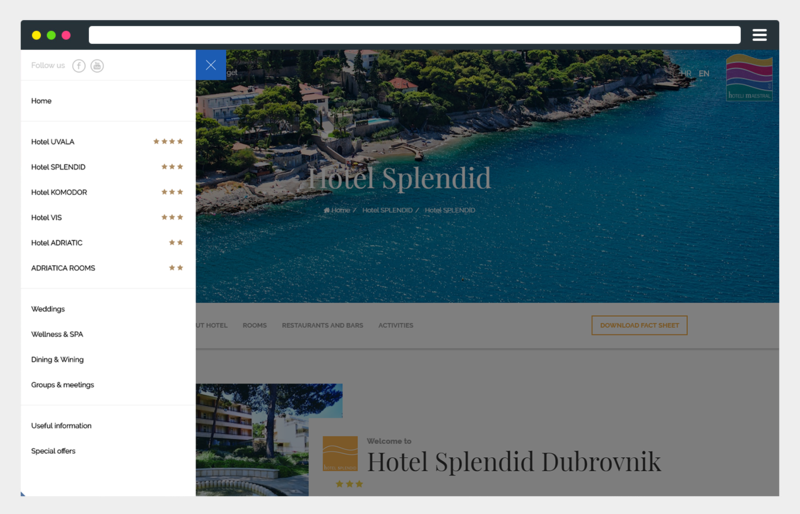 As the hotel group needed a web presence fit for the 21st century, Perpetuum created an interactive website that presents the offer, contents and attractions of the hotels and the famous city of Dubrovnik. Hotel management needed to present the full breadth of the group's offering to customers. 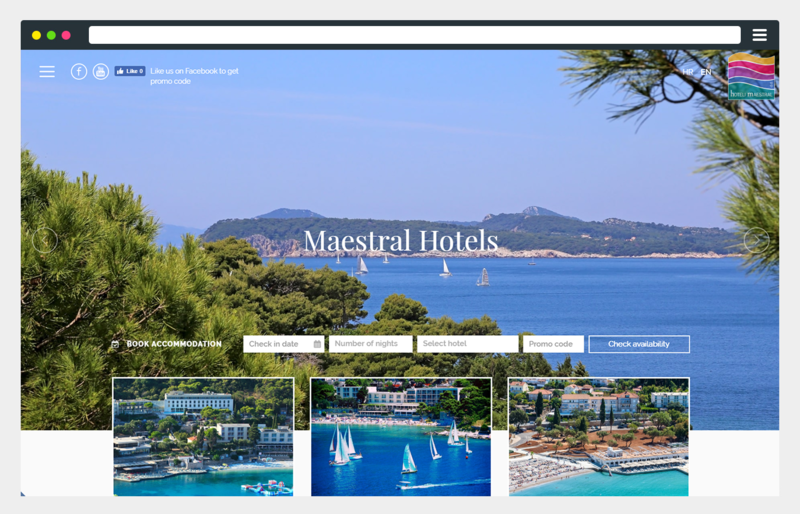 In addition to features such as a fast and responsive photo gallery, detailed hotel information and others, visitors to the website needed to be able to access the booking system and view information on devices and gadgets of various sizes and form factors.